Summary: All across our land and around the world, thousands of worship services are taking place today. 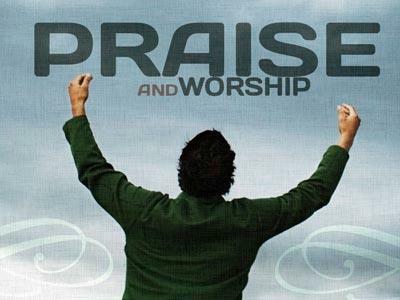 The purpose of these worship services is to worship God in a way that honors and pleases Him. I wonder how many accomplished that purpose? All across our land and around the world, thousands of worship services are taking place today. 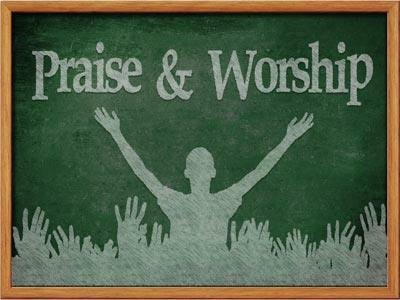 The purpose of these worship services is supposed to be to worship God in a way that honors and pleases Him. I wonder how many accomplished that purpose? Will we accomplish it today in our service? This is the story of David attempting to bring the Ark of God to Jerusalem. Let us begin by asking what was the ark of God, what was its purpose? It was to be a symbol of the presence of God in the midst of His people, Israel. It was also the place where God would meet with Moses and speak to him about the concerns of His people. But above all it was a symbol for the very presence of the Living God among His people. It was made of acacia wood, a cubit and a half broad [a cubit was app. 18”] so the ark was 27” wide, 27”high and 45” long (Ex.25:10-22). It was overlaid with the purest gold. Its upper surface or lid, which was called the mercy-seat, was surrounded with a rim of gold; and on each of the ARK OF THE COVENANT 2 sides were 2 gold rings, in which were placed 2 gold-covered poles by which the ark could be carried (Numbers 7:9; 10:21; 4:5,19, 20; 1 Kings 8:3, 6). Over the ark, at the two extremities, were 2 cherubim, with their faces turned toward each other (Leviticus 16:2; Numbers 7:89). Their outspread wings over the top of the ark formed the throne of God, while the ark itself was his footstool (Exodus 25:10-22; 37:1-9). I don’t know if you remember what was inside the ark. There were the stone tablets God gave to Moses containing the law, a jar of manna and Aaron’s rod which had budded. But let me share with you what struck me about this story in 1 Chronicles 13. Usually when we read this passage and its parallel passage in 2 Samuel 6, we focus on Uzzah and the fact that they should not have been transporting the ark by a cart pulled by oxen. And 2 Samuel 6:7 says that when Uzzah put out his hand to steady the ark because he thought it might fall over that the anger of the Lord burned against Uzzah “and God struck him down there for his irreverence.” Now there are a couple of issues we could get into at this point. We want to focus on other things today but let me just mention them to you and maybe stimulate you thinking a little. 1. One is this whole issue of blaming someone else for our actions – in other words we are not responsible for our choices and actions. But I notice in this story that David, the king is the one who ordered the ark to be brought up to Jerusalem. David was the one who gave approval for the plans and method of how to move the ark. Uzzah was simply following the orders given to him. But the Bible says that God struck him down for HIS irreverence. Now in our present society there would be a great outcry. People would say, “You can’t blame Uzzah. He was simply following orders. It’s David fault this was being done wrong, not Uzzah’s.” And in a sense you would be right. It was David’s responsibility and the priests’ responsibility to have made sure the ark was transported in the exact way God had commanded. And I’m sure we have some lawyers today who would want to sue God for his actions against Uzzah saying that God had no right to hold Uzzah accountable. Nevertheless, the Bible says God struck Uzzah down for his irreverence - for the choice he made in showing irreverence to God and that emblem which was a symbol of His presence. God held him accountable. This is something you need to think over in light of the modern day thinking in our society. 2. Another issue we could get into here is this question: do you think Uzzah thought he was being irreverent? My guess is that he did not. But God did! This opens the door to a lot of things we could discuss. There is a lot happening in Christianity today from music styles to evangelistic methods, to how we dress everyday and when we come to church, to personal tastes, to how we do church today – many, many things. And people will say they do not see anything wrong in them - that you are just being old fashion and behind the times. We’ve got to reach people where they are today. And of course there is truth in that, but the question is not whether you or I or they think it is right or wrong but what does the Lord think. Would He say we are being irreverent towards Him even though it has a Christian stamp on it? All across our land and around the world, thousands of worship services are taking place today. 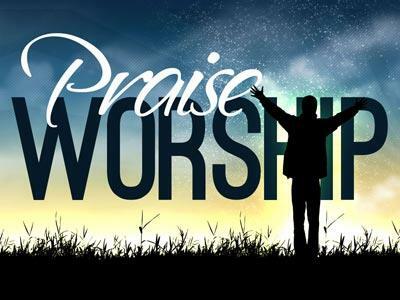 The purpose of these worship services is to worship God in a way that honors and pleases Him. I wonder how many accomplished that purpose?